Learn Civics with Photo Tours of the 50 States! The average American alligator weighs 800 pounds (360 kg) and is 13 feet (4.0 m) long. There are over a million alligators in Florida. It is illegal to feed them. 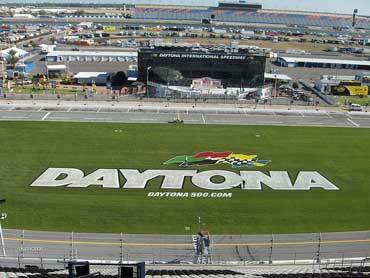 What is the Daytona Speedway? It is a race track in Daytona Beach, Florida. It opened in 1959 and can seat 168,000 spectators. The Daytona 500 is a 500 mile vehicle race. Professional race car drivers drive around the 2.5 mile track 200 times. Where is the Kennedy Space Center? It is on Merrit Island, near Cape Canaveral. 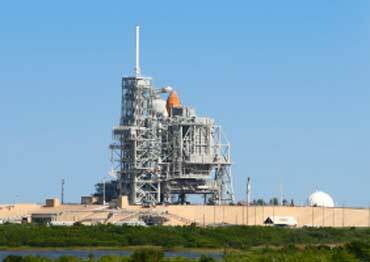 The Kennedy Space Center is part of the National Aeronautics and Space Administration (NASA) program. Copyrights to the pictures and photos on this civics 50-states photo tour website belong to individual photographers. We have purchased the rights to use them. Do not copy the photos on this site. You may print any of the worksheets for classroom use. Permission is granted to link to any page of this website. Contact Christina Niven at christina@elcivics.com. Please send corrections, comments, greetings, and requests for new photo tours, state lessons, and civics units. Copyright © Christina Niven, 2007.